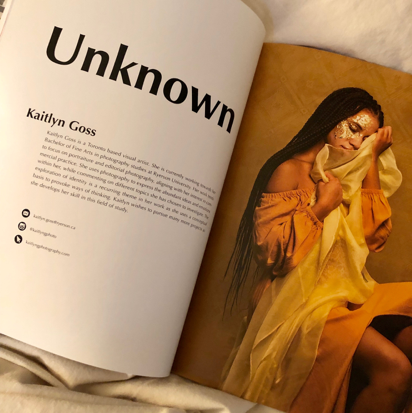 Ryerson Art + Design Magazine (RADmag) is a platform for students in Photography, Fashion and Interior Design to have their work come to life. It’s a place that allows for celebration of and collaboration between Ryerson’s visual disciplines, sparking connections, starting conversations and tapping endless student potential. If you’re reading this, then you should be aware that RADmag is launching its 10th issue, meaning you’re in store for another phenomenal magazine filled with all things RAD! And if you were not aware, well, the submissions are open to all of Ryerson’s students until November 15th… and here are five obvious reasons you should do it. Having published work lets people know what you’re doing and what you’re capable of. It acts as an opportunity for your work speak for itself. Being able to say your work has been showcased in one of Ryerson University’s most revered publications is… a pretty big deal. Consider it a stepping stone toward building your reputation. 2. It’s a confidence boost. In an age where everyone is claiming to be a “creative,” not everyone has the work to back it up. And even less people have the luxury of saying they’ve had their work published (AKA, bragging rights). We also have a launch party, where your work will be celebrated by endless amounts of people, allowing you to have the confidence to continue to seek more opportunities in the future. 3. It connects you with likeminded people. When your work is in print, more people will want to know who you are and what you’re about. By contributing to RADmag you are putting your name out there—in ink! The people who see your work, will like your work, and your chances of finding people to collaborate with and partner with will only increase. Whatever your goals are, RADmag gives you a physical platform for you to get closer to your goals and allow for opportunities you may have never thought of! 4. RADmag gets you an “In” into the process of the industry. RADmag is pretty legit, there is a lot that goes into creating a print magazine. By contributing to a print publication, you’ll be exposed to the process and practices of the creative industry. You’ll gain insight, valuable feedback, learn what works best for you, and you’ll figure out which of yours piece resonate most with different audiences and why, all while learning what you’re most interested in working on, yourself. If we’ve convinced you to submit to the magazine, and you think you’re ready to put your work in a high quality magazine everyone will see, head over to this hyperlinked page and follow the guidelines. We hope to see your work soon!